Renewable forms of energy have been around for centuries. Sunlight has been used for making fire and wood was burned for cooking and heat. Wind and water power were early sources of energy with wind being used for propelling ships and turning windmills since ancient times. Rivers were used to turn watermills and the Romans even used geothermal water for heating. Until the middle of the 18th century renewable sources of energy were the only forms of energy available, but then, with the advent of the Industrial Revolution, fossil fuels began to be exploited. For the next 200 years fossil fuels reigned supreme, but in the last 50 years, people began to wake up to the fact that fossil fuels would not last for ever. Prices were becoming very unstable and there was a general wake-up to the fact that emissions from these fossil fuels were doing enormous harm to the Earth's atmosphere. This gave rise to considerable concern over global climate change. As a result, attention began to turn once again to sources of renewable energy and modern renewable energy technology dates from this time. Renewable energy is any form of energy obtained from natural resources, such as sunlight, wind, rain, tides, geothermal heat and biomass. Currently about 20% of the world's energy comes from renewable sources, although only about 13% comes from biomass, and that is mostly from wood burning. Throughout the world there is significant potential to harness renewable energy in various forms. If a country is lacking in one form of energy, it is usually rich in another form. A good example is the Sahara Desert, where there is enormous potential for solar power, but none for hydroelectricity. For domestic use renewable energy systems are often expensive to install, but they are able to pay for themselves over a number of years. As technology advances, initial costs fall and this payback period becomes shorter. In addition, many governments promote renewable sources of energy by subsidising installations. 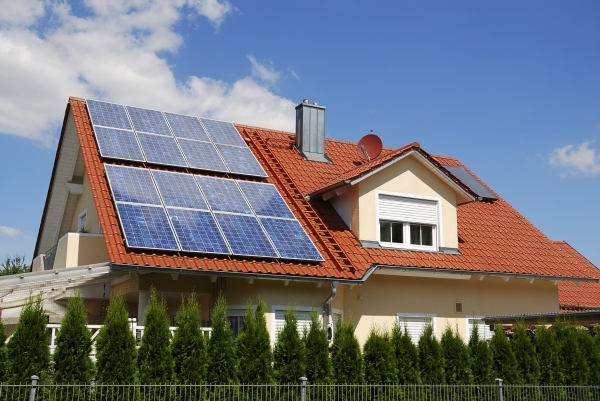 In a domestic situation some kind of solar panel can be used to convert sunlight into electricity or thermal energy. This is an excellent example of renewable energy and is completely pollution-free. A fairly recent development is the photovoltaic (PV) cell. This does not need direct sunlight since it is able to capture any light and convert it into energy. It will even produce energy from moonlight. As with everything new, cost is a factor, but it is firmly expected that will fall as the technology becomes more popular. In many countries solar power could provide between 50% and 75% of domestic hot water energy. There is a proposal to build the world's largest PV power station in the Australian State of Victoria, with an output of 154 MW. One of the problems facing producers of solar power is to find an area of flat space that is big enough to accommodate the number of cells needed to produce electricity on a large scale. Experiments are now taking place by floating banks of cells on the surface of large industrial reservoirs. Geothermal energy is also used for domestic heating. Latent heat within the Earth increases with depth and geothermal heat pumps bring this heat to the surface for water or space heating. The downside is that any geothermal heat pump needs electricity to bring the heat to the surface. On a larger scale geothermal energy is obtained in the same way, by tapping the heat of the Earth. These large plants are expensive to build, but once built, running costs are very low. There are three types of geothermal plant. i. Dry steam plants take steam out of fractures in the ground and use it to drive a turbine that spins a generator. ii. Flash plants take hot water out of the ground, usually at temperatures in excess of 200°C, allow it to boil as it rises to the surface and then let the steam drive a turbine. iii. Binary plants pass the hot water through heat exchangers, boiling an organic fluid that spins the turbine. In all three types of plant the condensed steam and remaining geothermal fluid are injected back into the hot rock to produce more heat. 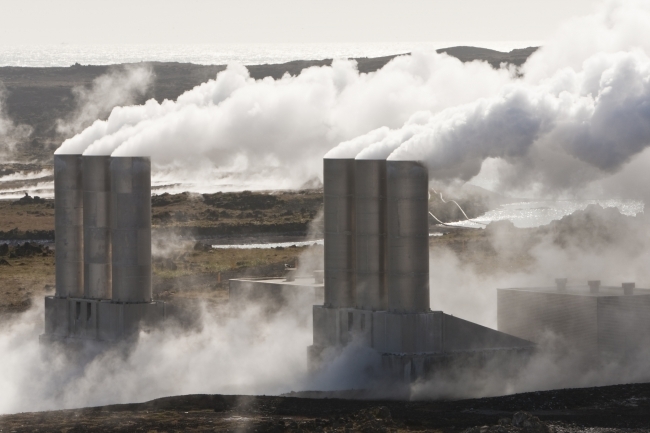 Image: Geothermal Energy in Iceland. Small-scale domestic hydroelectric power units are possible in certain locations and can be very effective, but this form of power production is usually on a massive scale. Hydroelectric plants are one of the most successful sources of renewable energy. Water is about 800 times denser than air, so even a slow flowing stream can produce a considerable amount of energy. Hydroelectric plants are extremely long-lived, with many having been in operation for more than 100 years. The Grand Coulee Dam in Washington State is the largest electric power producing facility in the US. It was completed in 1942, took nine years to build, and supplies four power stations with an installed capacity of 6,809 MW. 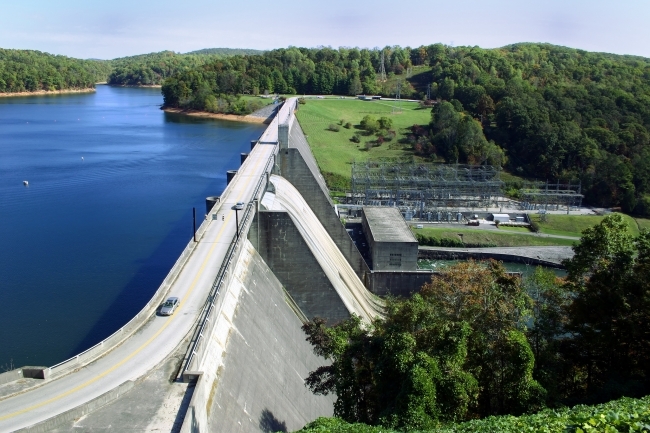 Image: Norris Dam, hydroelectric dam located in East Tennessee, USA. The big disadvantage is that constructing a hydroelectric plant and its accompanying reservoir usually involves the dislocation of large numbers of people and the disruption or destruction of the whole ecosystem of a river and its surrounding area. The actual construction process will also release significant amounts of greenhouse gas into the atmosphere. In spite of this, hydroelectric power plants produce much lower life-cycle emissions than other types of generation. In spite of the environmental issues and concerns, not to mention the impacts on the lives of local populations, the current boom region for hydroelectric power is Asia and in particular, China. In this developing area, there is an ever-increasing demand for energy. This is coupled with greatly increased costs of imported energy, so there is a widespread desire for clean, renewable and economical domestic generation. As a result all environmental and human issues get quietly forgotten. Wind Power is another source of renewable energy. Although originally developed by the Dutch in the 17th century, it had largely been forgotten, but is now experiencing a revival. Wind powered generators have become popular worldwide both for domestic and commercial generation and wind farms have been constructed both on land and offshore. The United Kingdom is the world's largest generator of off-shore power, followed by Denmark. In 2008 wind power produced 120,791 MW of electricity world wide, which was some 1.3% of global electricity consumption. There had been a 28% increase in production during the course of that year. 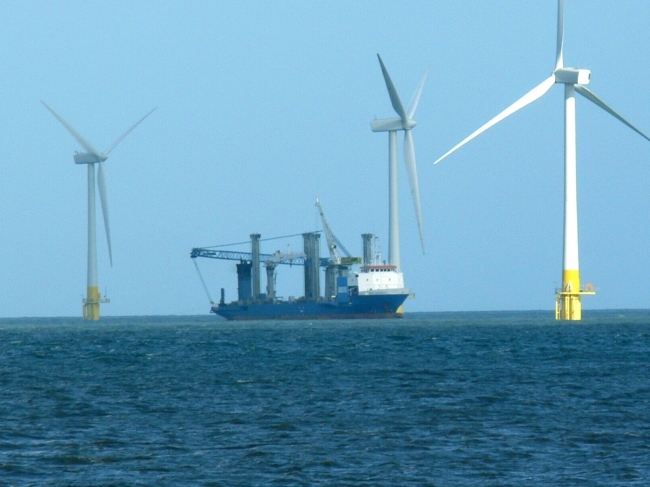 As an example, wind power produces 20% of Denmark's electricity. Concern has been expressed about the impact on the environment of large numbers of wind turbines in one place, but taking this aside, wind power has the advantage of having a high potential with relatively little cost. Biofuels are yet another example of renewable energy. These originate as plant material such as wood or some other form of vegetation, or are manufactured from plant material of some form or a derivative such as paper or card. This is either burned as it is, or can be processed into some form of briquette for use as an alternative to coal or charcoal. 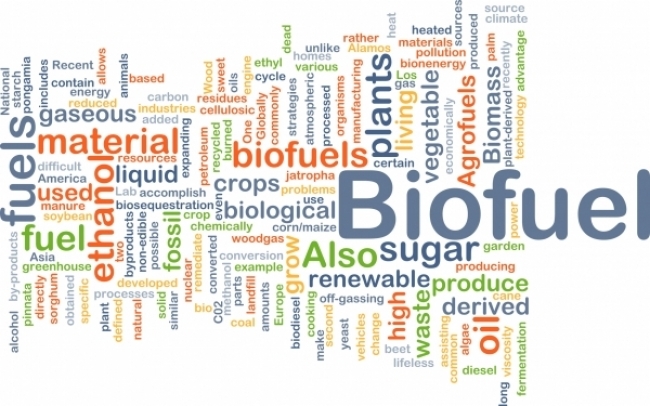 Bioethanol is an alternative to conventional autofuel and is produced by the fermentation of the sugar components of plant materials. Brazil is one of the largest users of this form of renewable energy, with bioethanol providing 18% of the country's automotive fuel. It is also widely used in the US. Unfortunately large areas of land are needed to grow the plant material in order to produce the bioethanol. Brazil took the decision to use large areas that were formerly tropical rainforest. While the Brazilian authorities regard this as making good use of the country's natural resources, environmentalists regard deforestation of these ecosystems as a very retrograde step. In recent years research into new renewable energy technologies has taken on a fresh impetus. Technologies being developed to produce bioethanol from sustainable sources and municipal solid waste and there is encouraging research into using salinity changes to produce electricity. Offshore wave energy has the potential to be one of the most environmentally friendly forms of electricity generation. As an example, the wave energy around the British Isles has been estimated to be equivalent to three times current UK electricity demand. The world's first commercial wave farm was officially opened in Portugal in 2008 and one currently being constructed off the Scottish coast is destined to be the largest in the world. Research is also taking place to harness Ocean energy. Research continues to improve solar power panels, using nanotechnology that can create circuits out of individual silicon molecules. These may cost half as much as traditional PV cells and would be more efficient. Renewable energy is no longer a niche sector, promoted only by governments and environmentalists. Public concern about climate change and protection of the environment, coupled with high oil prices and increasing governmental support are driving increasing rates of investment into research for clean and cost effective forms of energy. We look forward to an exciting future.